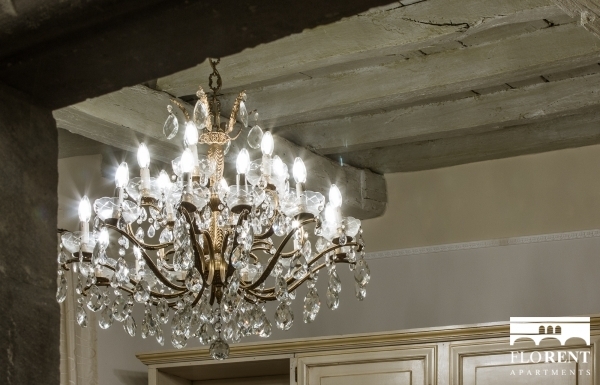 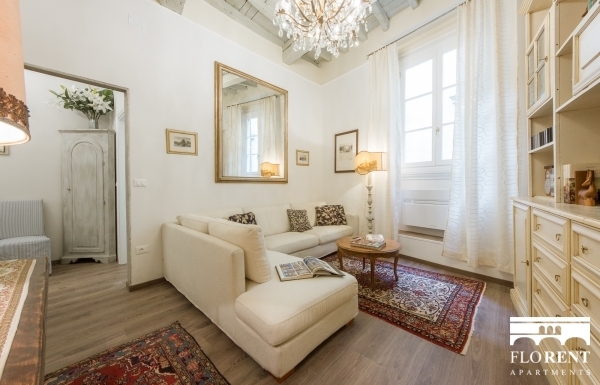 This elegant apartment is on the second floor of a 18 century palace. 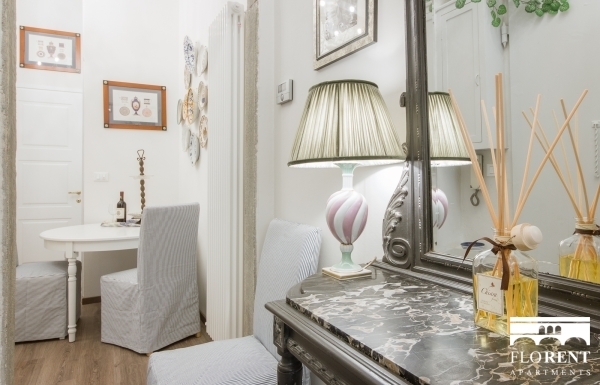 It is located in via del Parione, a very quiet street, which runs parallel to the river Arno and leads to Piazza S. Trinita and to via Tornabuoni, known as the “fashion street”. 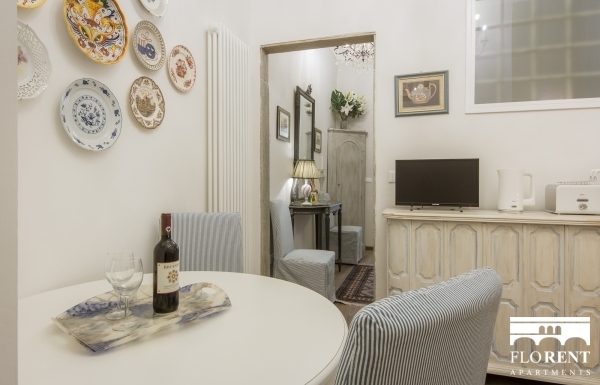 The apartment has just been completely renovated and it consists of an entrance, a dining room, a small kitchen with a window, a big living room, a wide master bedroom, another bedroom with a double bed, and a wide bathroom with shower. 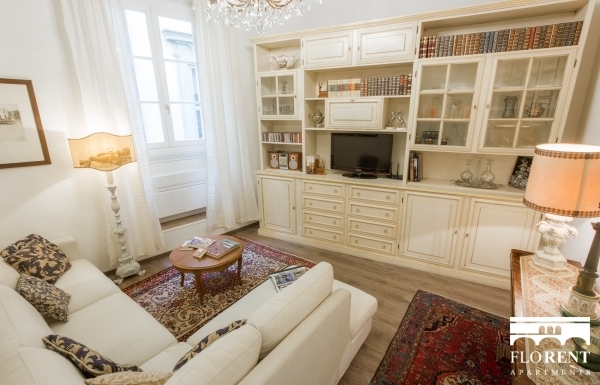 The living room is furnished with new customized furnitures and antiques pieces that belong to the owner’s family. 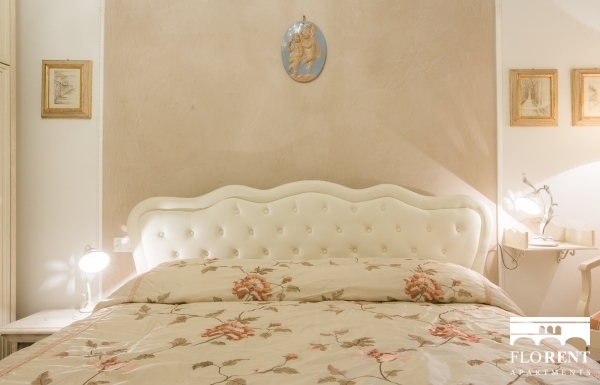 The mattresses in the bedrooms are “made in Italy” and in Memory foam. 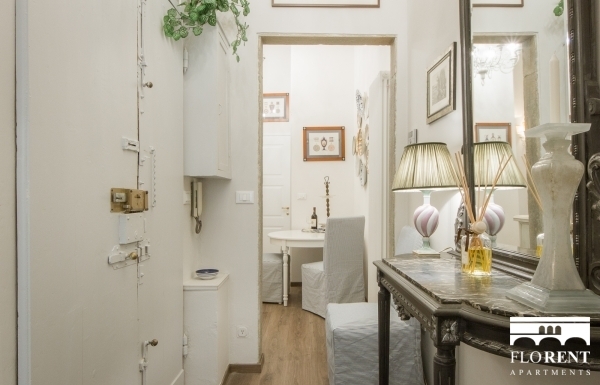 The apartment has heat, air-conditioning, Wifi Internet connection. 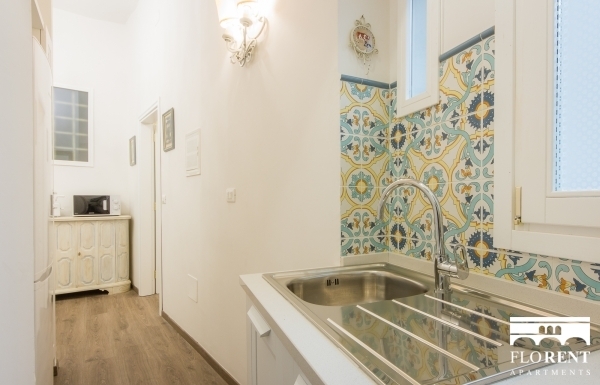 The kitchen is completely equipped with dishwasher, washing machine and dryer. 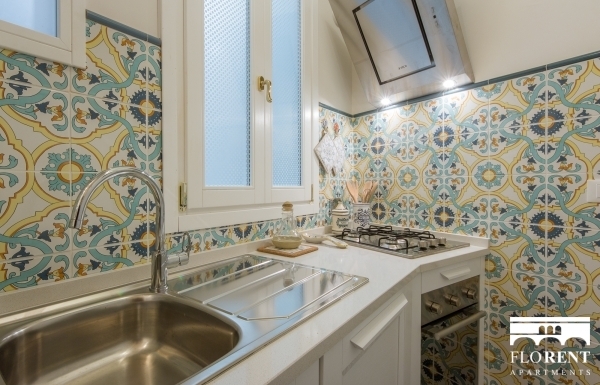 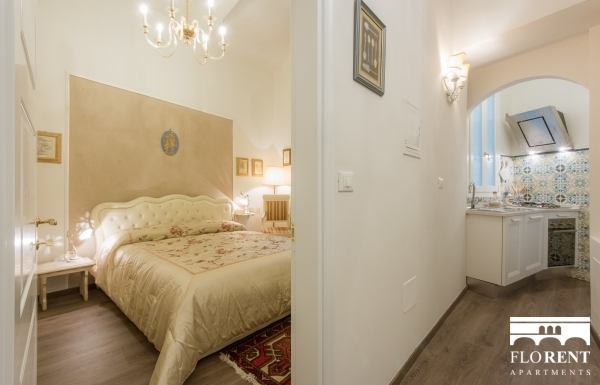 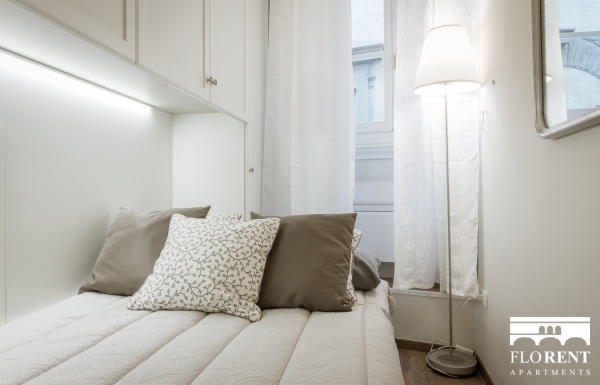 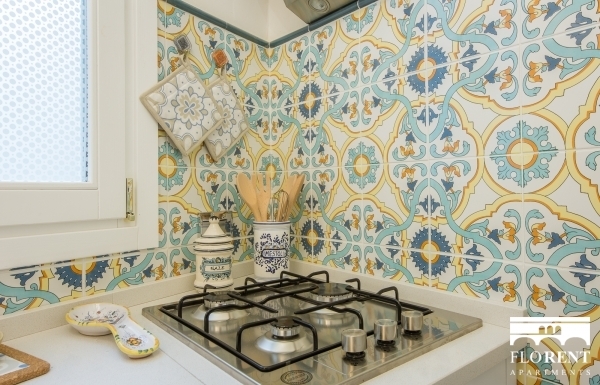 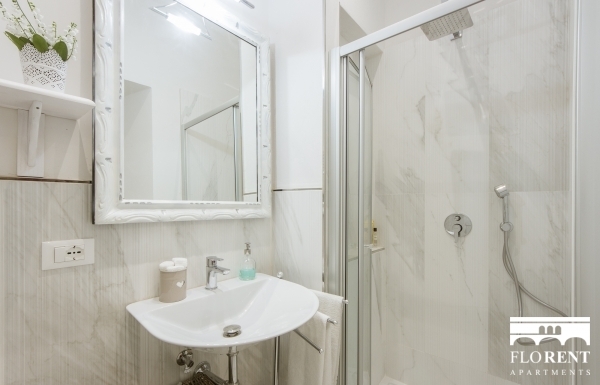 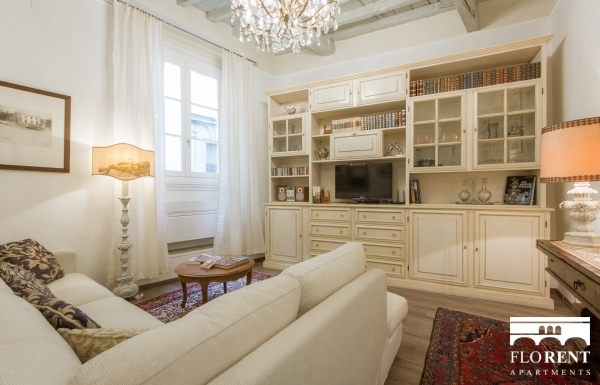 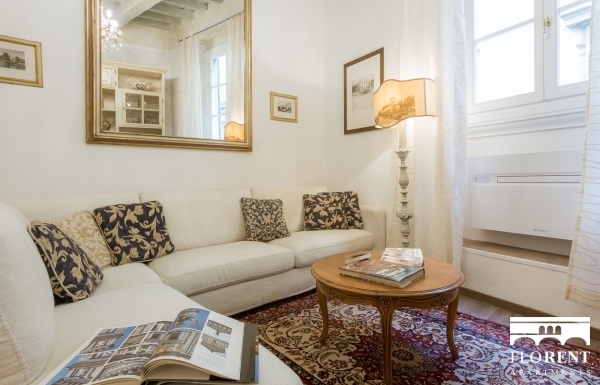 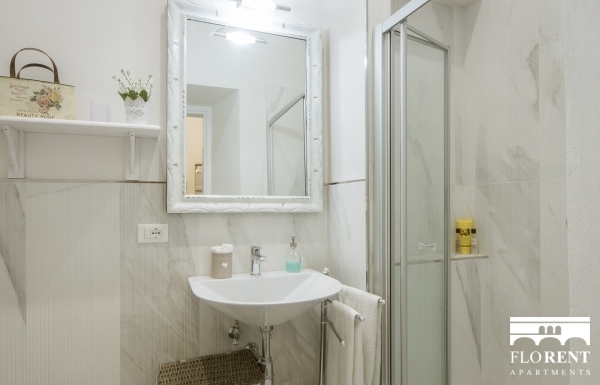 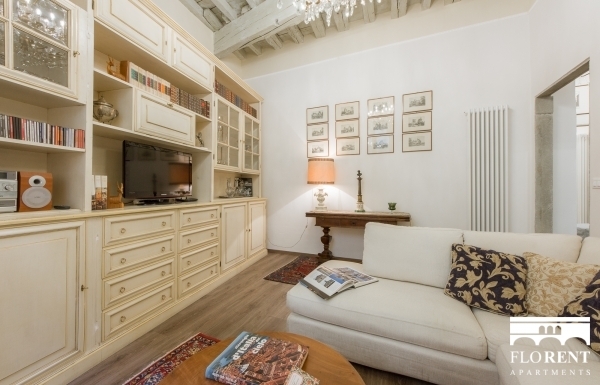 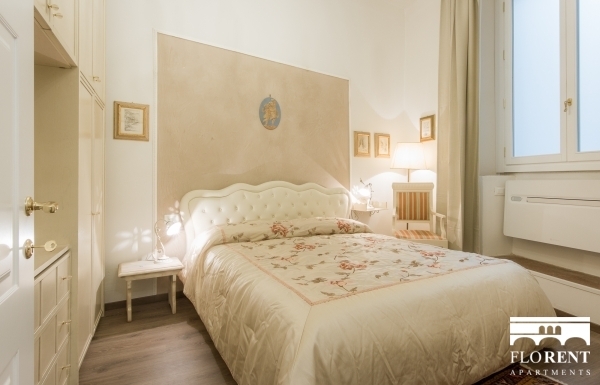 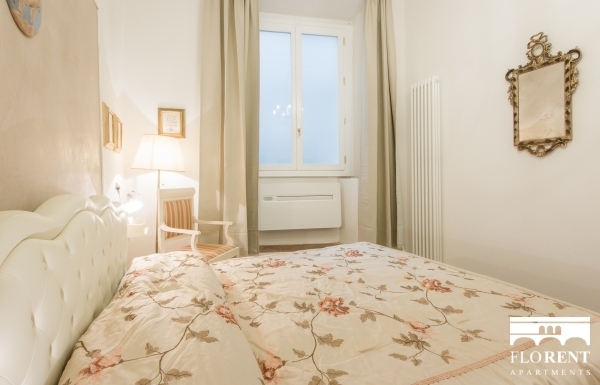 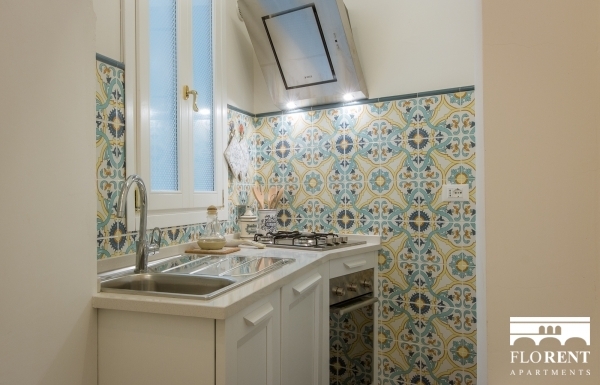 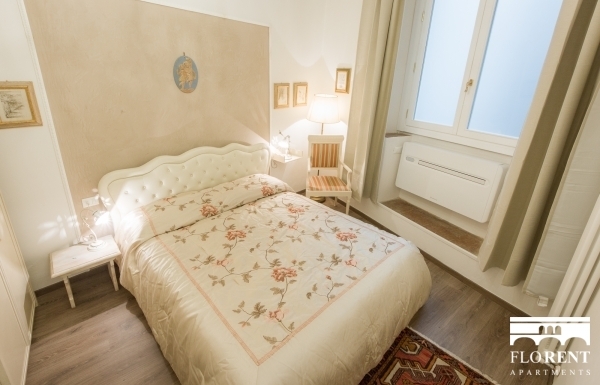 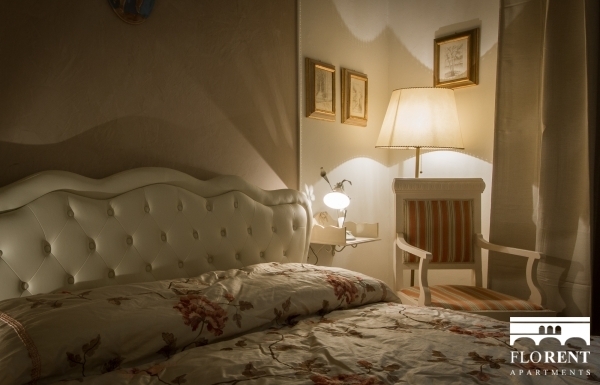 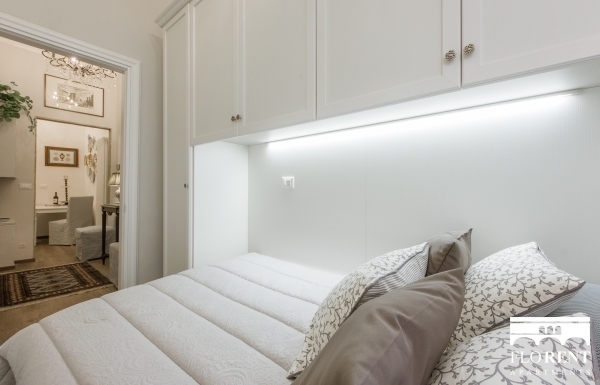 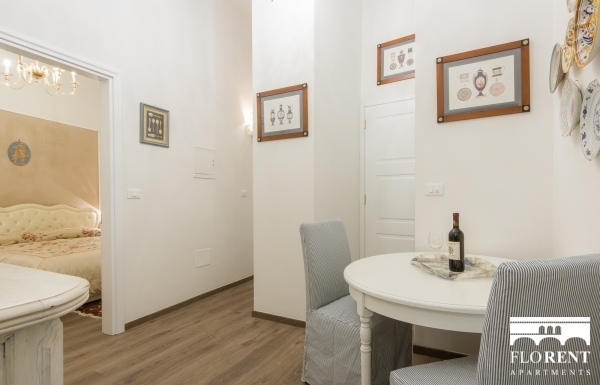 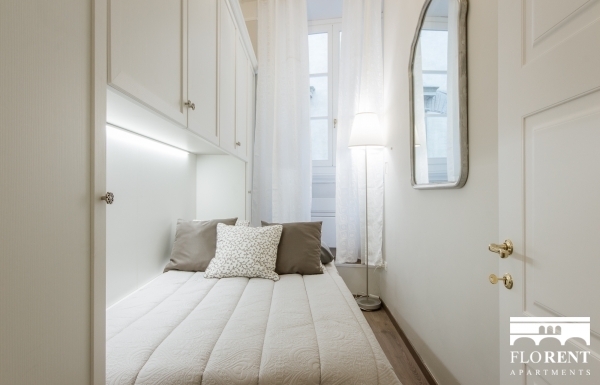 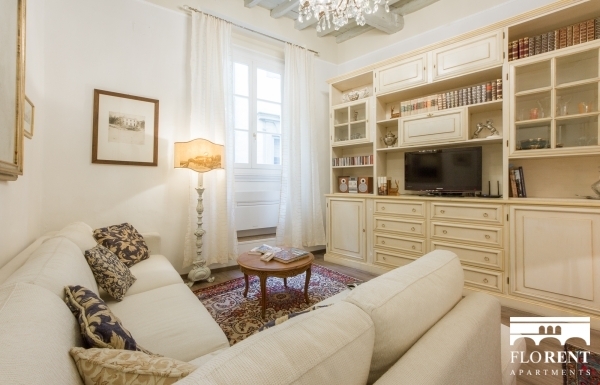 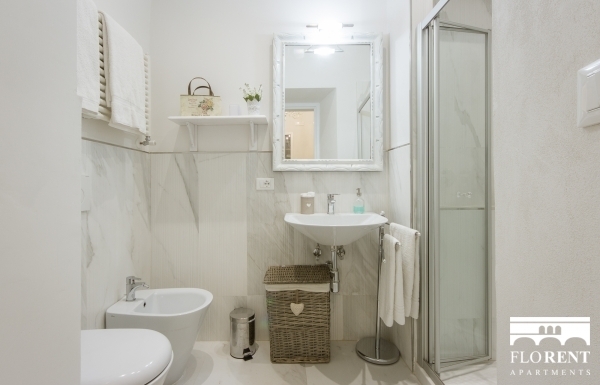 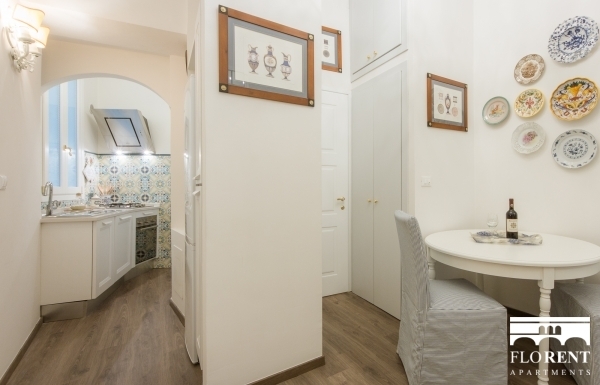 The apartment is positioned right in the very historical city center and it is possible to reach on foot all the highlights in Florence, such as: the famous Ponte vecchio, the Duomo, Piazza della Repubblica, Piazza della Signoria. 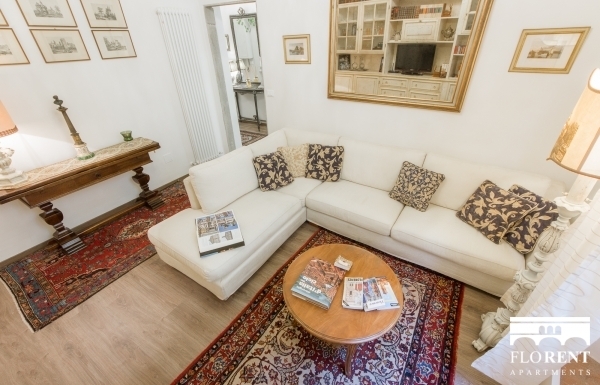 It is a great location since at the same time it is a 10 minutes walk from the central train station.